At Liberty Luxury Limousine we don’t just want to provide you with a clean comfortable ride; we want to make your experience amazing. VIP cars and SUVs are the way to achieve this. These cars will fit the needs of both the business and leisure traveler. It does not matter where you are going, just that you feel special. Over 15 years of experience has taught Liberty Luxury Limousine how to meet our customers’ needs. No matter what the reason for your visit to the city, it is always great to be treated like a VIP. 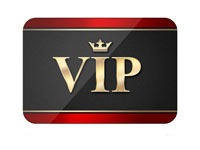 Our Luxury VIP Department offers the newest Luxury Sedans and SUV’s (2010-2013). Our drivers are the most professional, courteous and knowledgeable in the business. They will navigate the traffic and provide you with a safe, smooth ride so you can concentrate on work, phone calls, site seeing or just relaxing. The Big Apple is too amazing to miss. Additional perks include vehicles equipped with GPS, complimentary bottled water and the newspaper of your choice. Whether you are going to the airport, a business meeting or just want to enjoy the famous New York sights, call today for a quote of your transportation needs.